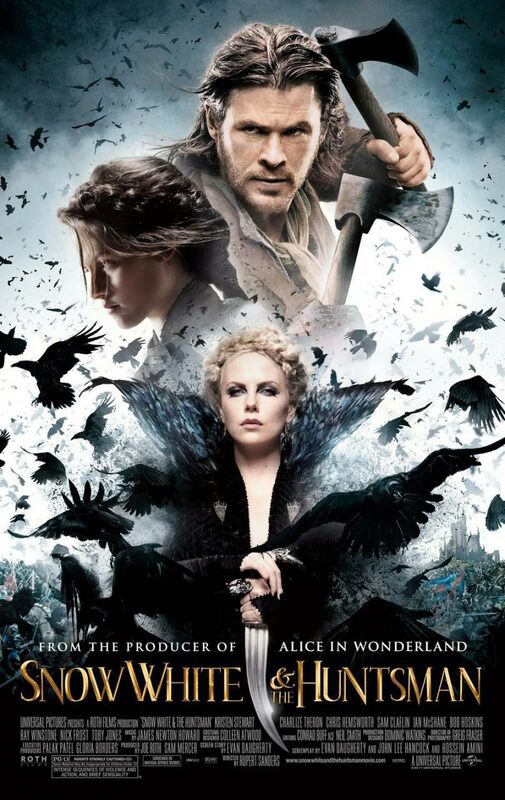 This entry was posted in Movies and tagged Charlize Theron, Chris Hemsworth, Kristen Stewart, movie reviews, movies, Noah Huntley, Ravenna, Sam Claflin, Sam Spruell, Snow White, Snow White And The Huntsman. Bookmark the permalink. I get the major dislike for Stewart haha! You know, I have been wondering why 2011-2012 went seriously overboard with reinventing the Snow White story, I mean seriously? I like them going darker (but then they really need to stick the the original source material), it takes it more to the traditional tales they were before Disney tidied them up good and pretty, but you know, there is a way to do it. This had its moments, but definitely not something I will be rushing to see again if I have a say about it, I just don’t think it was as bad as people freaked out about. If you haven’t seen it, you really aren’t missing much. Hell no. And if they can see it will bring cash, they will do it. I mean look how many great films bombed in the box office and how many dreadful ones just totally owned it. So damn confusing. Teehee, maybe not. Like I said, checking out that Mirror Man was totally worth it, that was incredibly well done, and the visuals for the fairy utopia were great. But overall it is just a standard movie to pass time! Good review Zoe. Theron was so over-the-top here, I thought she was going to practically shatter every person’s glasses whom I was in the theater with; Hemsworth was brooding and fun to watch; and Stewart, well, she just did her thing. Whatever that means nowadays. Thanks Dan! Theron really managed to give Ravenna that wicked side, so I respect that from her. Hemsworth is always worth watching, really not a bad actor. I suppose whatever Stewart does nowadays involves a lot of staring? 😛 Look, definitely not something I will be jumping to see again, but at least I have seen it now, and seen why everyone had their say over it. I’m such a Stewart advocate. Her performances in On the Road, Adventureland, and Into the Wild are terrific. She’s done so many other lesser known films that she’s also outstanding in. Very misunderstood and underrated actress. Awesome review by the way, this flick just never caught my eye. I don’t know, I am not a fan. She could be doing so much more than she is, I think that is where the major issue comes in. I know you are an advocate. Everyone has that someone they are defending. Yeah, not worth rushing out and checking or anything. 100% on board with that, Joseph! She was brilliant in On the Road, haven’t seen the others, though. I was so excited for this movie when it came out. Love Theron as the queen. 🙂 Did it live up to your expectations? It was really one of the few times I enjoyed Theron. Not quite. Kristen Stewart i think was much better than people say, but i thought it was a little messy as a movie. I can agree with that. A little bit scattered and all that, but it was ok. Thanks. I agree with you. It is a forgettable story with a lot of loose ends that just don’t come together at the end of it all. Just a mindless watch really! I remember not liking this too much. I liked the cinematography, but however much I try to justify Kristen Stewart, (since I actually like her) she was really, really bad in this one. Theron was amazing, I agree that she was the perfect choice for the role. Nice review! Yeah this was just ok. Just average. Nothing spectacular. I really don’t feel that Stewart has the persona to lead an army to war, and that was very difficult for me to buy into. Yeah it was pretty patchy. It had decent elements but overall not enough to save it. Yeah it is quite disliked, though I think it has a worse rep than it deserves. Agreed. Very average. Watchable and entertains enough, but not good either. I kind of wanted to see this but never got around to it. Stewart doesn’t really bother me in things she does that aren’t Twilight. And don’t go getting any ideas about those f-ing Twilight movies!! Haha check it out, it is an ok watch. Hell no I won’t. Only watched the first one by accident and never read that ever. We are safe. Phew. Great review, Been hearing mixed messages on this one . Just wondering how did you manage to put related content on your posts? Really not something you need to rush to see but if it comes up it is alright to pass time. I have no idea to be honest, saw it a few days ago and wondered if it was just a standard WordPress upgrade. You’re more generous than me Zoe. 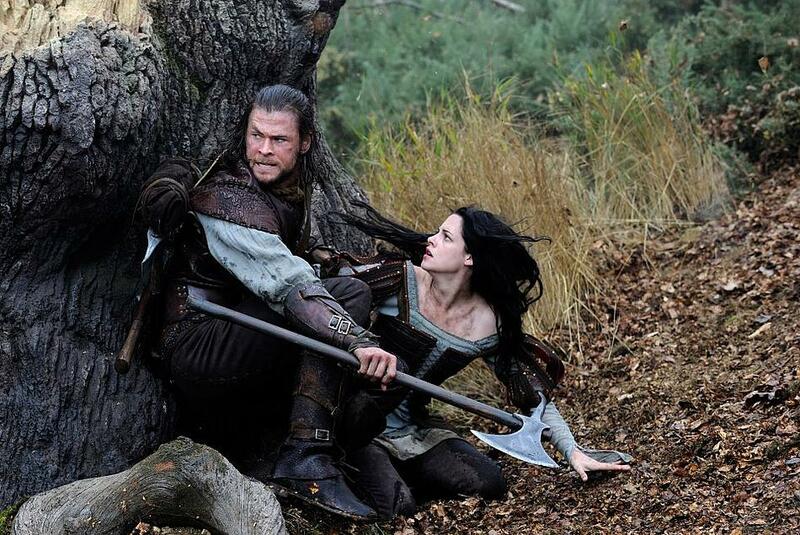 This one had potential but all squandered when they cast K-Stew with her one-expression as Snow White. Hemsworth is basically playing a variation of Thor, too. It’s just lame. Yeah she really only has one expression haha. Pretty accurate on Hemsworth too though. It was alright though definitely not groundbreaking, and could have been better. Good review. I totally agree that this isn’t a great movie, but definitely not worthy of all the hatred flung its way. To me, Theron’s perfectly and purposely way over the top performance was amazing. I thoroughly enjoyed her. Thank you. Charlize Theron was impressive in here. The movie was ok to watch, nothing spectacular but ok. Thanks. It wasn’t that bad. Yeah her expression never faltered teehee 😛 oh you do like Hemsworth hey! I finally got around to watching this Zoe, if you’re interested , you should check out my review.